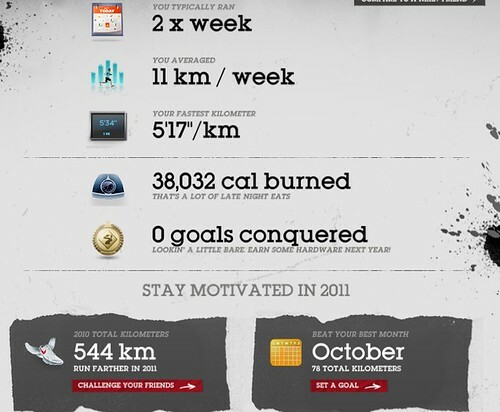 I didn’t set any goal but it turned out that I have done some 24% more km than 2009 so I am happy with it. For record sake I achieved 10k sometime before my birthday in 2009, passed the 15k mark about 2 months ago and should have done about 20k at the recent High Island reservoir run. 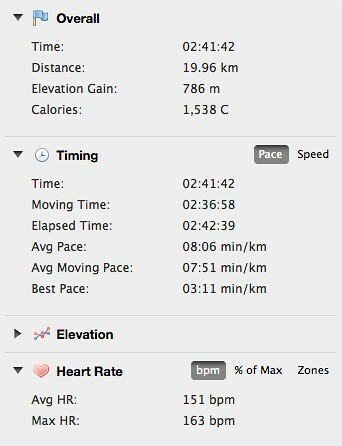 Today I deliberately wanted to do at least half marathon of 21.6k however how do I know I have done that distance? Well Bowen Trail is 4k long and there are milestones every 500m, I have to assume milestones there are trustworthy. I got myself an armband for my iPhone I wish the Nike+ GPS app works better on my arm than in the waist pouch. None of the above is right since I have done 5 laps of Bowen Trail which is 20k plus a short length of at least 1.4 from the starting point to Bowen Trail so total distance should be around 21.4k. I further analyzed Garmin’s map and found that distances for 3 laps towards Central are 3.69, 3.8 and 3.8 and distances for the return lap are 3.61 and 3.6. The only explanation is that since hill is on one side of the trail therefore accuracy of GPS is affected somehow. This phenomenon is also confirmed by a similar 10k run (2 laps in Bowen Trail) which showed 3.84k for a lap towards Central. Nike+ GPS app is very disappointing this time, I should have checked location using Google map first before starting it. It turned out from Nike+ map that even the starting point is miles away from the actual location. This entry was posted on	January 2, 2011 at 3:17 pm	and is filed under Uncategorized.